How Much Does the 2018 BMW X5 Cost? Very few companies have the kind of storied history and reputation that BMW has. BMW has been building the ultimate driving machines for over one hundred years. Since 1999, the BMW X5 has been building the ultimate driving mid-size SUV, the BMW X5. While most mid-size SUVs are notable for their bland handling and truck like ride, the BMW X5 has the smooth ride and precise, ultra-responsive handling BMW is known for. The 2018 BMW X5 promises to be the best X5 ever. 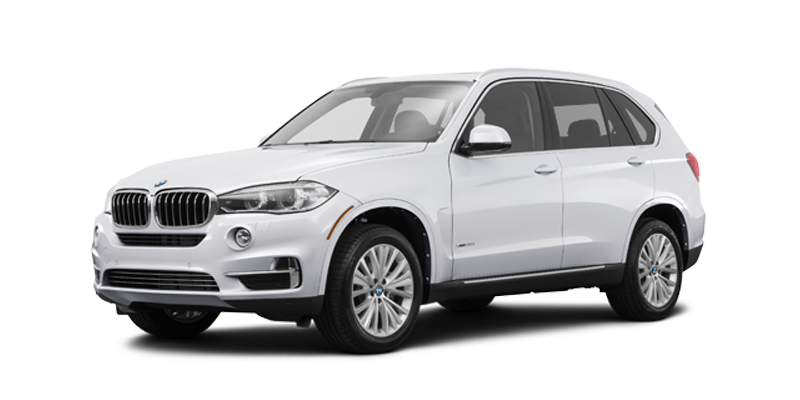 The X5 offers the utility and versatility you need in an SUV with BMW's legendary performance. The X5 is the best of both worlds for you, your family, your cargo or your friends. Whatever you need, the X5 has it, and the 2018 BMW X5 is even better than it has been. BMW set out to make their 2018 BMW X5 better, and they have succeeded. The biggest change comes with a brand new transmission for the X5. Every model, except the plug-in hybrids, has the upgraded eight-speed automatic transmission. The new transmission delivers more responsive throttle control and improved acceleration. Besides the new transmission, BMW's highly praised backup camera system is now a standard feature across all trims and packages. Another major change is the BMW's ConnectedDrive system, which is now standard for all BMW X5s. The ConnectedDrive system offers apps, smartphone connectivity and useful features. A few styling changes also mark the 2018 BMW X5. At the back, the tail-pipes are now trapezoidal in shape, an interesting touch. The xDrive35i, xDrive35d and xDrive50i models have an optional upgrade to brilliant 21" "M" styled wheels. With the utility you need and the performance you want, the BMW X5 is everything you need in a vehicle. Feel free to browse this site further or contact your local dealer for more information. Contact our friendly staff to get a quote or set up a test drive today!